Petunia was a pet pig, who resided at 91 West Broadway in Bangor, Maine. Petunia, Emily’s (Cheryl’s daughter) birthday pig, lived in a white-picket yard four houses down from Stephen King, and enjoyed left-overs from Gourmet to Go and Cafe Nouveau (Cheryl’s catering company and restaurant that featured international cuisine using organic Maine products.) was always destined for the table. The City of Bangor determined that Petunia was residing illegally…So Cheryl closed her restaurant with a seven course meal in Petunia’s honor, and started an urban farm. She became a master composter, planted strawberries, raspberries and fruit trees, asparagus, and other organic crops and raised rabbits. And she cooked…for church suppers, school players, bake sales, and swim meets. With a growing family and restaurant size guests, Cheryl’s husband Flip decided it was time for a new kitchen. They built a 1400 square-foot state of the art facility, and Cheryl invited folks to enjoy cooking and eating with organic Maine products. She studied food science and human nutrition, food processing, slaughtered rabbits, and hosted hundreds of school children on the “farm.” Cheryl hosted two television series in the kitchen with Maine PBS, including “What’s for Suppah” with Tim Sample. When all three daughters had left the nest, Flip and Cheryl decided it was time for a life-path change. Flip sold the family business, and they moved to Stonington, on the island of Deer Isle in Maine. In living off the land, they dig clams, cut wood, root cellar their vegetables, raise rabbits, grow certified organic apples and make cider, and preserve all their winter supply of food, over 400 jars. 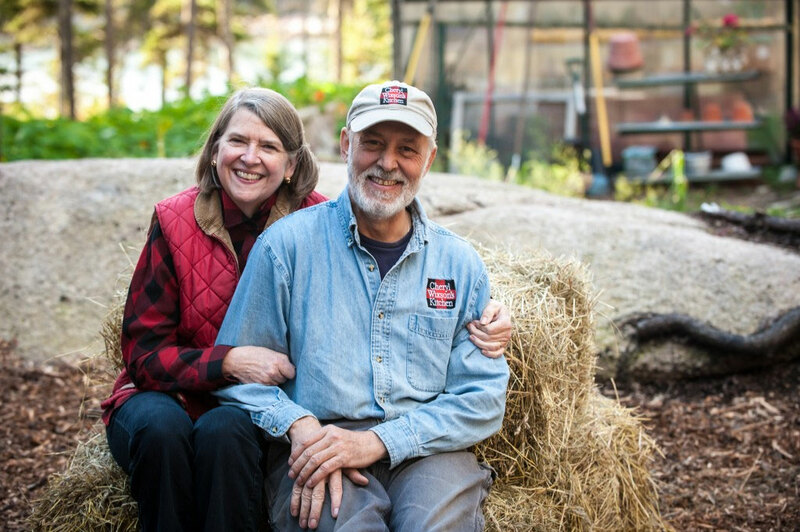 One day, Flip had a bright idea…He wanted to start a company that would buy product from Maine farmers that Cheryl could process and add value to and sell to consumers who want to eat more Maine food. So, they licensed the commercial kitchen at 91 West Broadway. Warning label: The product that you purchase today is being developed to encourage more Maine farmers to grow more Maine food, to employ more Maine people to add value to and to process more Maine food, so that more Maine people can enjoy Maine food all year round on Maine plates.